Truly fantastic! Add a touch of the tropics to your late summer garden with these Caribbean Fantasy Dahlias! 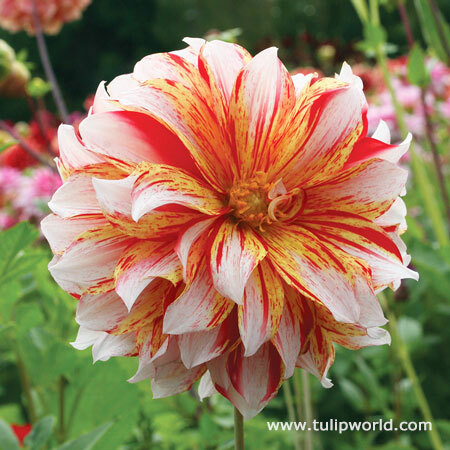 The petals color base is a creamy white, changing to different hues of peaches, oranges, and pinks as it matures. With no two blooms alike, these semi-dinnerplate flowers are large and perfect for the free spirited gardener. They also look spectacular in fresh cutflower bouquets!